No, this is not about getting a heart attack from shoveling snow (though that is a real phenomenon). It’s about how the rising cost of health care is eroding the ability of state and local governments to fund investments in infrastructure. This becomes most apparent when that infrastructure is stressed, as it is, say, during a snow storm. Case in point: Boston. As a former resident of “beantown” I can attest to the fact that snow is a constant part of the winter landscape there. We could always count on the first snowfall to come before Thanksgiving (and could never count on being done before April. I recall one depressing year where it snowed in May! So I was not surprised, and was even a little nostalgic, when I witnessed Boston’s second major snowstorm of the year last week. I was, however, surprised at how much the city struggled to cope with the snow, and in particular, how poorly the public transportation system held up under the circumstances. With another snowstorm this week, the system failed completely. 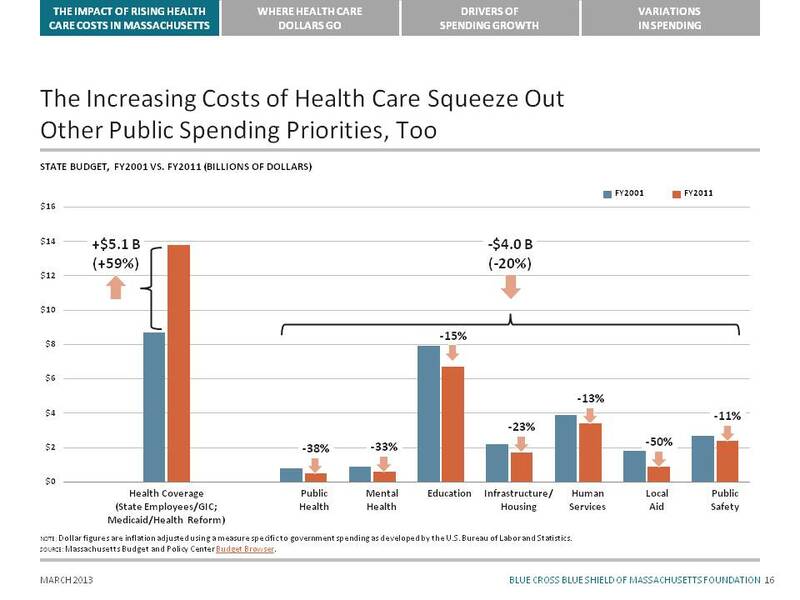 I was in town taking an executive education course at the Kennedy School of Government about healthcare delivery, which got me thinking about the connection between a failing transit system and healthcare. This is neither good nor sustainable. I think it is one more piece of incontrovertible evidence that we need to lower healthcare costs.